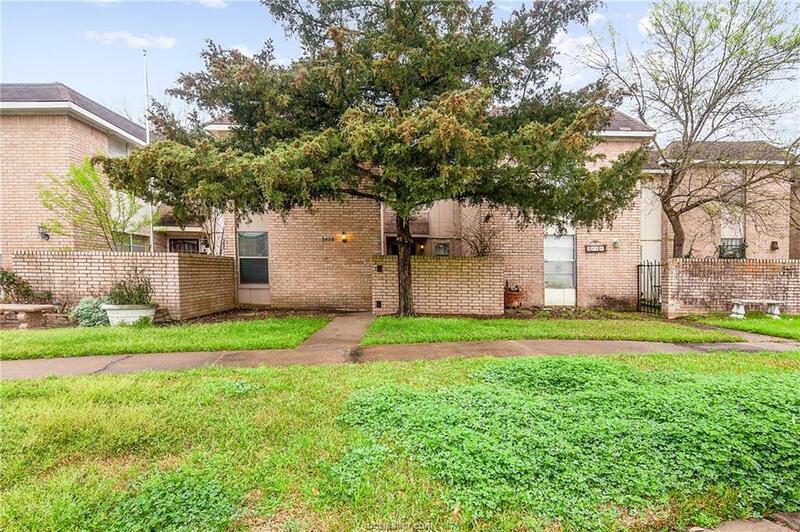 This UPDATED 3 bed, 2.5 bath condo is minutes away from TAMU and Blinn, and just a 2 minute walk from the TAMU bus stop. Downstairs you will find two living spaces and a half-bath, and upstairs 3 bedrooms and 2 full bathrooms. The flooring has been recently updated with carpet in the bedrooms and wood-like vinyl throughout the living areas. 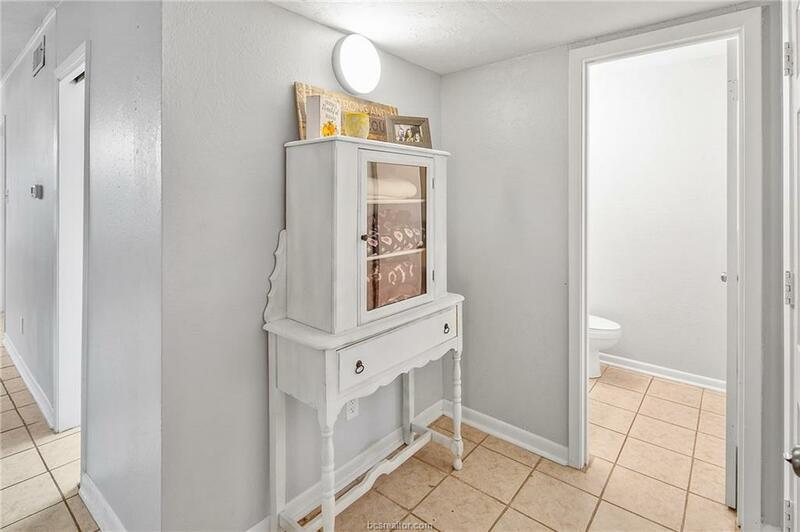 The entire condo has been painted in the last two years. New black "leathered granite" counter tops installed in the kitchen and bathrooms. 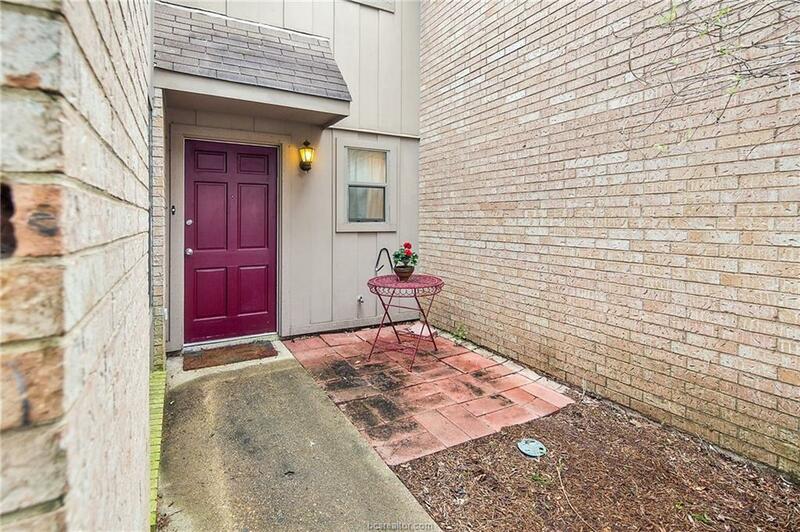 Your own private courtyard leads to your private two car garage. The monthly HOA fee takes care of water, sewer, trash, exterior maintenance, and lawn care in the front. 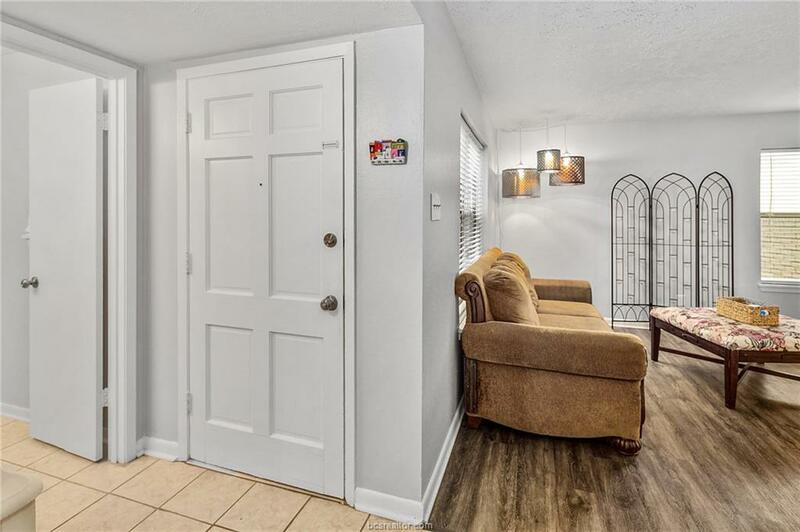 This condo is Move-In-Ready.